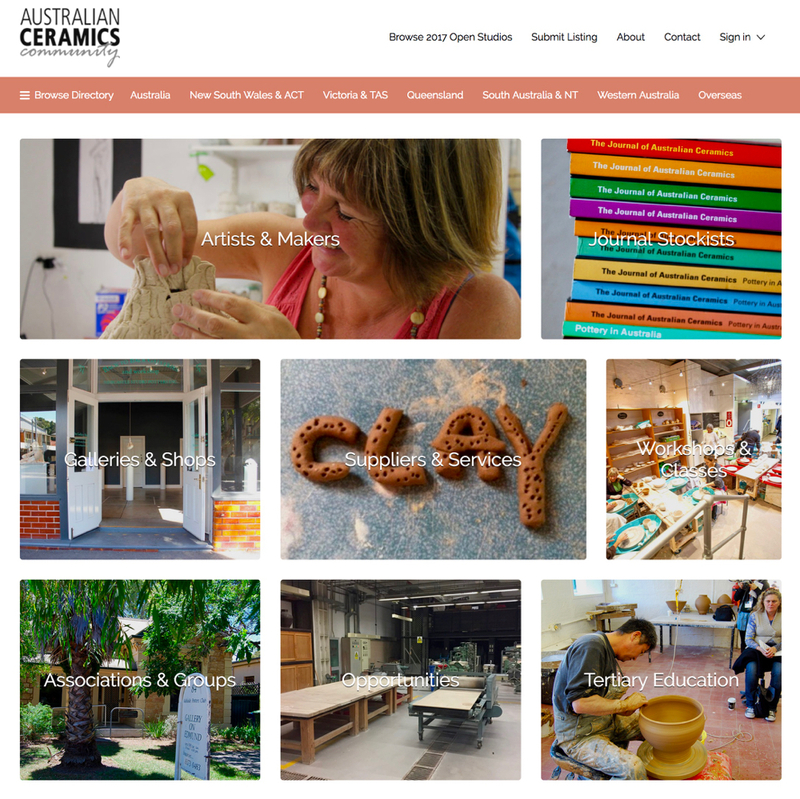 Above: Check out the AUSTRALIAN CERAMICS DIRECTORY HERE. TACA Board met at TACA office on Sunday 26 November 2017. Treasurer Lou McCallum reported that the Association is financially on track for the current quarter, and that there has been a slight increase in membership income. Vicki Grima reported that the organisation of TACA’s Members Exhibition, MANIFEST, is now under way. The Triennale committee have reported that discussions are being held regarding keynote speakers, Australian and international guests, as well as venues and activities. The committee and their sub-committees are doing an amazing job organising the event and communicating via social media. The Expression of Interest to participate in Manifest has been broadcast to TACA members on multiple outlets: entry in the JAC’s SHARDS pages, an email to members as well as Facebook and website posts. The deadline for Expressions of Interest is 1 May 2018. Recently, Damon Moon (curator) met in Hobart with ACT representatives to inspect and discuss possible sites for the exhibition. TACA Board has approved an operating budget of $4,000 for the financial year 2017/18, on the understanding that the budget will be reviewed as the details of the exhibition are finalised. An Expression of Interest for volunteers for MANIFEST is due to be posted in the Touch Clay newsletter. TACA Board is communicating with Damon Moon regarding the overall budget and the possibility of income generation. The JAC 56/3 November issue was posted out on Thursday 16 November. As always, we thank the work of the volunteers that “bag the mag” – Tony Schlosser, Jo Wood, Denise McDonald, Jenny Wiggins, Alice Couttoupes, Christine Skrobek, Jan Howlin, Clare Nicholson, Ursula Burgoyne, and Emily Byrne. The number of magazines mailed was similar to the July 2016 issue. Vicki Grima is investigating the viability of replacing the plastic sleeve, currently used to mail the magazine, with a recyclable paper envelope. The bagging of the magazine by volunteers will no longer be necessary should the switch to paper envelopes go ahead. It was noted how the bagging event has always been a great opportunity for members to socialise, and informally discuss the content of the magazine in a group setting. It was therefore proposed to organise JAC launch events in different locations around Australia. JAC 57/3, publication 20 November 2018 – open to all options, possibly Adelaide? Claire Atkins tabled a written report which covered a variety of topics including the positive feedback about The Function Issue, JAC 56/3, from readers and contributors in person, via email and social media. Planning is well underway for the 2018 April JAC edition in which the focus is ‘Exploring Identity’. The issue will cover the diverse ways Australian ceramic artists use clay to examine who we are, looking at issues around class, culture, gender, politics, politics and sexuality. TACA Board is assessing the opportunity of having a trade table at Gulgong 2018 to meet and greet with current members and promote TACA to potential new members. Costs and benefits are currently being assessed. • Any activities that are organised or run under the auspices of The Australian Ceramics Association are covered by the CRIB insurance. • TACA Board, employees and/or volunteers are covered for liability to a third party should a claim arise and TACA are found to be negligent. • Anyone hired by TACA as a paid contractor/service provider (e.g. to run an event, a workshop, or a talk), must have their own liability insurance in place. Public & Products Liability is for any injury or property damage to a third party. • TACA employees require WorkCover as per NSW legislation. • TACA will require Voluntary Workers Insurance to cover injuries to any non-employee board members and volunteers. • TACA Board is seeking further clarification re. insurance coverage for volunteers at TACA events. TACA Board is assessing the advantages/costs associated with becoming a paid member of the IAC. As an organisation it develops and encourages all forms of international cooperation to promote ceramics and to encourage and maintain the highest level of quality production in all ceramic cultures. The current IAC annual fee is approximately AUD$270. The board is approaching current IAC Australian members to better understand the advantages of becoming a member and to seek the sponsorship needed to lodge an application for membership. 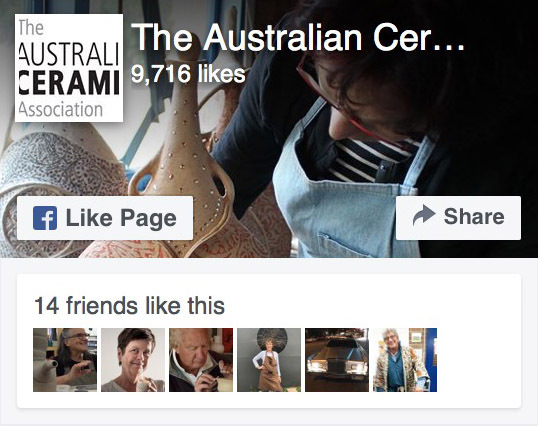 • Vicki Grima, Montessa Maack and Rachael Rigg have been working hard to bring the Australian Ceramics Directory up-to-date. The AC Directory is already proving a useful tool for website visitors to use to access services, groups etc. Do take the time to check your entry, or create a new one if you have not already done so. Artist entries are HERE. • The online shop is busy with orders for the new issue and new JAC subscriptions following some Facebook and Instagram promotions. • Ceramic Competitions Around the Globe was last updated on 23 October. Julie Pennington, who compiles this useful list, aims for a bimonthly update. • Manly Art Gallery & Museum 2020: Vicki Grima is liaising with Katherine Roberts, Curator & Programs Coordinator Manly Art Gallery & Museum, for a possible TACA members’ exhibition to be held in 2020. The next TACA BOARD MEETING will be held on Tuesday 30 January, 11am at TACA office. Stefan Hiener, Tina Wheatley, Chantelle Baistow, Sylvia Segon, Daniel Leone, Asuka Mew, Abigail Simpson, Timothy Westbury, Carol Stapleton, Lucy Petrone, Ruth Byrne, Belinda Piggott, Joy Rodier, Carla Dinnage, Darryl Nicol, Lyndall Henderson, Godelieve Mols, Mona-Lisa Klavus, Ebony Heidenreich, Georgina Bryant, Kaz Davis, Cate Zayons, Emily Brookfield, Susan Reys, Sarah Cummings, Prue Sheehan, Kerry Byers, Ruth Bruten, Helen Braun, Shaun Hayes, Kaz Thorpe, Barry Jackson, Annita Stevenson, Theo Stephens, Bibi Ehsani, Soledad Contardo, Jacqui Sosnowski, Susan Dunne, Philippa Taylor, Shannon Lewis, Tony Carr and Shelley Oldham. TACA Annual General Meeting will be held in September 2018. Like to contact TACA BOARD?